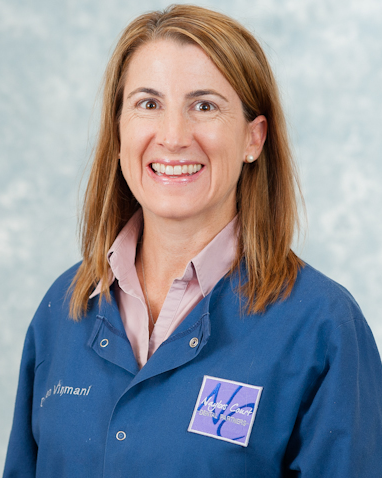 Dr. Jennifer Virmani is originally from Pacific Palisades, a community in southern California. She received her Bachelor's degree in Physiology and Neuroscience from the University of California at San Diego. She then received her doctorate degree from the University of Michigan in 2000. Upon completion of a General Practice Residency at the VA Hospital in West Los Angeles, Jennifer married Moe in June of 2001 and then worked as a contract dentist for the United States Army in El Paso, Texas. She continues her education each year by attending post-graduate courses in topics such as cosmetic dentistry, reconstructive dentistry, and periodontal therapy. She is an active member of the Maryland State Dental Association, the American Dental Association, the Academy of General Dentistry and the National Association of Women Business Owners. In her spare time, Jennifer enjoys biking, cooking, gardening, as well as spending time with her young twin girls.